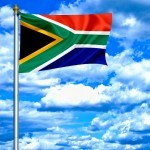 Taxpayers Rights When Audited By Tax Authorities In South Africa (Chapter 5.5.6 – 5.5.6.7) | TaxConnections is a where to find leading tax experts and tax resources worldwide. Natural justice comprises three basic principles, namely, the principle of bias, the audi alteram partem principle and the general duty of SARS to act fairly. In determining the standards required of a decision maker, the courts tend to use the terms ‘natural justice’ and ‘fairness’ interchangeably.119 These concepts are now entrenched in PAJA, which forms the starting point in determining what remedies are available to the taxpayer, where SARS transgresses any of its constitutional obligations in this regard. The audi alteram partem principle and the general duty of SARS to act fairly is dealt with in ss 3 and 5 of PAJA where SARS is required to give fair notice, the opportunity for the taxpayer to respond, and adequate reasons in making a decision that is ‘administrative action’ in terms of the definition of ‘administrative action’ in PAJA. Failure to do so without proper justification would immediately trigger one or more of the codified grounds of review in s 6(2)(a) to (i) of PAJA. As to bias, this is mentioned as a constitutional obligation in s 195(1)(c) of the Constitution. But a transgression of this principle would also be covered by the codified grounds of review in s 6(2)(a)(iii) of PAJA. Bias may occur where the SARS assessors randomly choose a taxpayer to audit or inquire into because they are expected to raise revised assessments in order to meet their internal financial targets, and thus their contractual commitments to SARS. In this case, it is virtually impossible for the assessors to act in an impartial manner, because their motivation is driven by the fulfilment of a budget imposed upon them by management. Tell-tale indicators are audits or inquiries that take place before SARS is prepared to refund taxes to the taxpayer, or where the three-year prescription of the taxpayer is imminent. Often the SARS officials will not have done their mandatory preparatory work as required in terms of SARS’ Code of Conduct read with its internal guidelines in the unpublished SARS Internal Audit Manual to determine whether or not an inquiry and audit is warranted. SARS, in practice, will simply commence the audit. This conduct on the part of SARS is questionable and suspiciously biased, and arguably a mere fishing expedition. For that reason, grounds for a review application in terms of s 6(2)(a) (lack of authority), (c) (procedurally unfair), (h) (unreasonableness) and (i) (otherwise unconstitutional or unlawful) (amongst others) of PAJA would exist. Similar grounds would be applicable in terms of the principle of legality. The ‘just cause’ defence would also be applicable. 119 Routledge Cavendish Constitutional Law 5ed. (2006) at page 145.